Punugulu is a very famous Andhra snack. But it is made with idli batter and maida. Since maida is not that much healthy I tried this wheat flour. It is one our favourite snack of my Sithi who prepares it every now and then. 1. 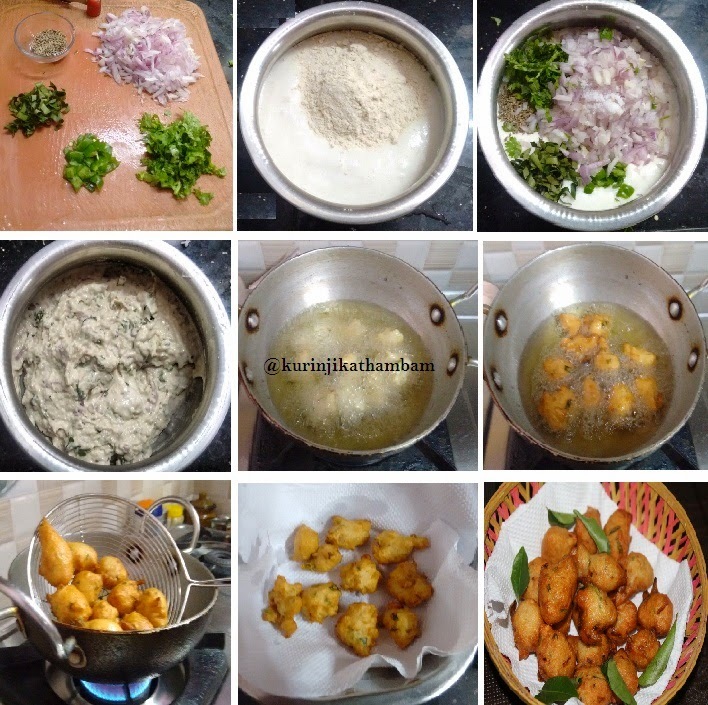 Mix idly batter and wheat flour with salt. 2. Then add cumin seeds, finely chopped onion, chopped green chillies, chopped coriander and curry leaves. 3. Mix them well. If the batter is too thick you can add little amount of water or if the batter is not thick you can add wheat flour to bring the batter into a thick consistency. The batter should be thicker than idli batter (the batter should fall as a ball). 4. Heat the oil in a pan, wet the hands with water and drop a gooseberry size balls from the batter. 5. Fry them well on all sides till they becomes golden in color and crisp. 6. Take it out from the oil and drain the oil completely. Then keep it on the kitchen tissue paper to absorb the excess oil. 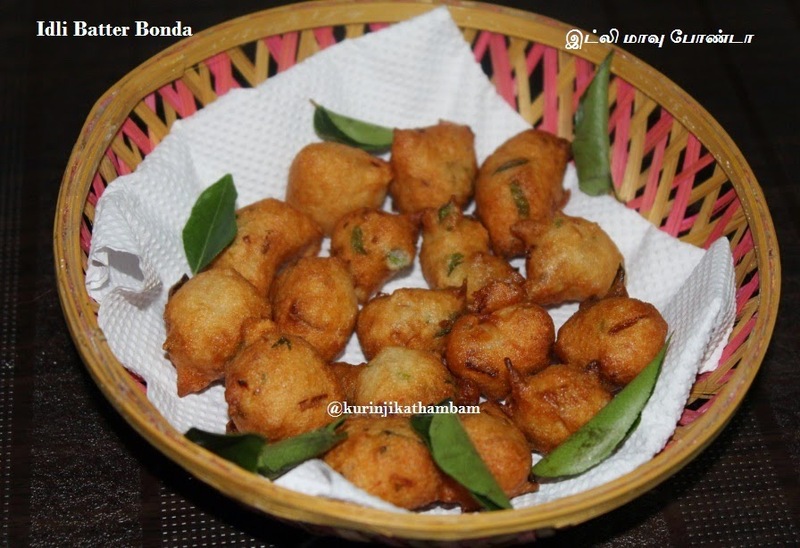 Have this instant and crispy bonda with tea. 1.Instead of wheat flour you can try with maid, millet flours etc.. This will make an awesome snack! Wow Really its interesting with what flour.I am surely gonna try this.